Over time, constant swings in relative humidity levels can affect key response, compromise soundboard integrity, damage pinblocks and corrode strings. At high moisture levels, the action can be sluggish, and the keys seem non-responsive. As the soundboard absorbs moisture from the air surrounding the piano, it swells, producing an upward bulge. Through the bridge, this puts additional tension on the strings. When the soundboard shrinks and flattens in dry conditions, the tension of strings over the bridge becomes inadequate and the pitch of the mid-range and treble section becomes flat. Repeated shrinking and swelling can lead to cracks in the soundboard. The strings of your piano are held tight by the pins in the pinblock. Like the soundboard, the pinblock expands and contracts with humidity changes, causing the wood fibers surrounding the pin to lose their resilience. This in turn, can lead to tuning instability. With exposure to high humidity levels over long periods, strings may corrode, affecting the quality of the instrument's tone. At the junction where rusted strings wrap around rusted pins, a hardened bond forms, ready to snap at the next tuning. 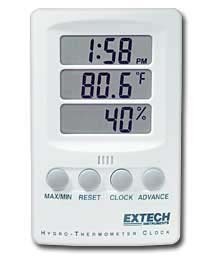 Ideally, the relative humidity of your instrument's environment shoul fall between 40-55%. A fairly stable temperature range of 65-75 degrees Farenheit is also desirable. Of course, no instrument should be exposed to direct sunlight. If the relative humidity of your instrument's room cannot be readily controlled, it may be necessary to install a Piano LifeSaver System. This unit mounts directly beneath the case of the piano. The system maintains a localized separate environment within the piano, producing a narrow range of relative humidity. 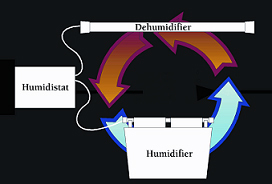 A humidistat beneath the soundboard activates either a dehumidifer or humidifer to maintain an ideal micro-climate for your instrument. The cycle is automatic and continuous, protecting your piano from ambient humidity fluctuations. Knowing the relative humidity of your instrument's room is vital and therefore this simple piece of equipment is essential to protecting your instrument and your investment. We have found this model provides good performance at a reasonable cost. There should be one in each room with an instrument or valuable antiques of any kind. For the early keyboard owner who needs some tuning guidance, we have found the KORG OT-12 provides the best value. Multi-temperament function, easily readable meter, wide tuning range and transposing mode. Engineered for precise pitch accuracy.